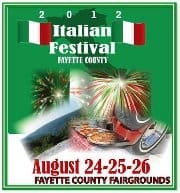 Don’t miss the 2012 Italian Festival in Fayette County on August 24-26 at the Fayette County Fairgrounds. Free admission and free parking! 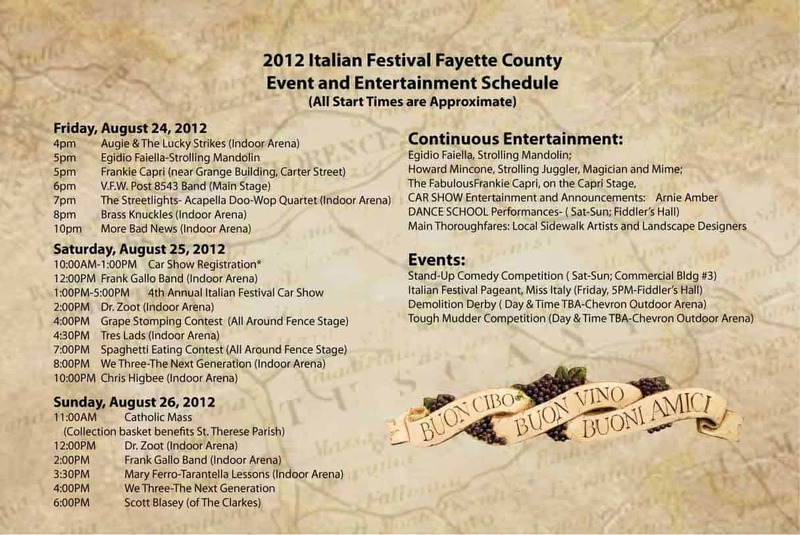 For more information, please visit the Italian Festival website.